A little known 60s garage rock band from Mississippi, The Gants provided an infectious burst of breezy two minute pop with their 1967 B-side ‘I Wonder’; a song that, like the band, has since fallen beneath the sofa of musical obscurity. Combining a jaunty British Invasion spirit with their garage rock sound, the song is undeniably Beatle-esque (perhaps even to the point of being derivative) but is nonetheless more deserving of its status as the flipside to a single that completely failed to chart. A rare outfit of its ilk to emerge from the Deep South, the group were formerly known as The Kingsmen (not to be confused with Oregon band responsible for the colossal ‘Louie Louie’) and made their early living as a covers band performing in their home city of Greenwood. 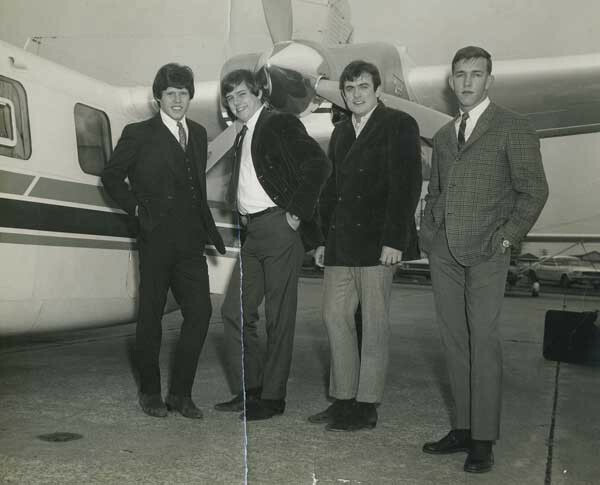 A name change came later and in early 1965 they were overheard playing in a hotel ballroom by a tour coordinator for The Animals; a happy accident that led to The Gants opening for Eric Burden and company during the Florida leg of their U.S tour. Written by frontman Sid Herring, ‘I Wonder’ is a song of which versions of varying speeds seem to be in existence; the version clocking in at a taut 2 minutes 7 seconds, rather than its slower counterparts, is the one which retains its necessary briskness. With The Gants just about maintaining something of a minor cult aura, the pleasing sound of ‘I Wonder’ would’ve been brought to many new ears after its inclusion on 1980 compilation album Pebbles, Volume 8. Tagged i wonder, scott hammond, the gants, throwback thursday. Bookmark the permalink.